Robbi is using Smore newsletters to spread the word online. This has been a wonderful school year and I can hardly believe we are almost finished! This month seems to fly by and we will be out of school and on summer break before you know it. I love this time of year as I get to watch the 6th graders turn into 7th graders; the 7th graders realize they are going to be the “big dogs” on campus next year, and the 8th graders' excitement about becoming Bulldogs reaching near uncontainable levels! It is also special as this year's 8th graders move to Memorial and will become their 100th graduating class! As a kiddo, I remember wanting the time to go quickly as I looked forward to the next grade or next big life event. Now I watch my kids, Collins 5 (in pre-K) and Will 3 this week, and want it all to slow down, stop even. I bet you can relate to that feeling, but there are still a lot of great moments left to enjoy! Speaking of moments to enjoy, we have a lot of end-of-year activities coming up! From concerts to 8th-grade graduation it is sure to be a fun-filled last few weeks of school. This newsletter is packed full of useful dates and information about not only 8th Grade activities but also lots of Cimarron activities. Be sure to check it out! And this being the last newsletter of the school year, I wanted to say thank you. Thank you for sending your amazing students to Cimarron. We are better for knowing them and spending time with them every day! Middle school is a fun and always changing place and I love every minute of it! 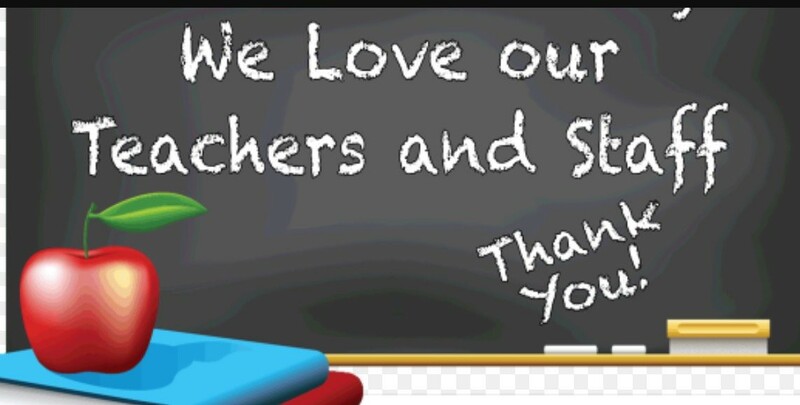 Thank you for another great year and have a safe and blessed summer! PAY STUDENT FINES AND FEES THIS MONTH! Unpaid fines and fees must be paid by the end of this school year or they will prevent your student from getting a yearbook this month and obtaining a schedule next fall. Log onto the online parent site at https://ok-edmond.intouchreceipting.com/signin.aspx. The User Name will be your student’s School ID (ask your student for the number). The password will be the student’s last name beginning with a capital letter. You will then be directed to the payment system where you can view the fees/fines. Online – While on the parent portal (instructions above), select the item you wish to pay and use a credit card to make your payment. A small fee will be applied. Deliver to the Finance Office – You or your student may bring the payment (cash or checks only) directly to the Finance Office. 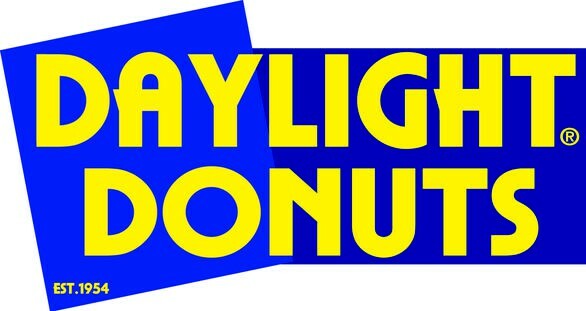 It is located in the main office at Cimarron and opens from 7:15 am – 3:15 pm daily. Checks should be made payable to Cimarron MS and a receipt will be printed and given to your student. If paying with a check, please include your student’s name in the memo line of the check and make sure a phone number is printed or written on the check. 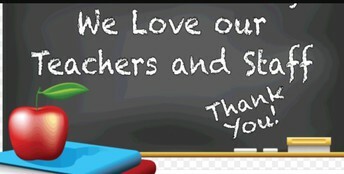 Celebrate Teacher and Staff Appreciation Week May 7 - May 11 by thanking our Cimarron staff for their dedication and impact at our school! 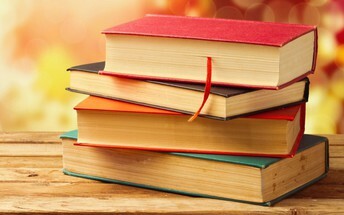 THANK YOU to our generous Panther families' book donations, our library was able to raise $950 at our Used Book Sale! 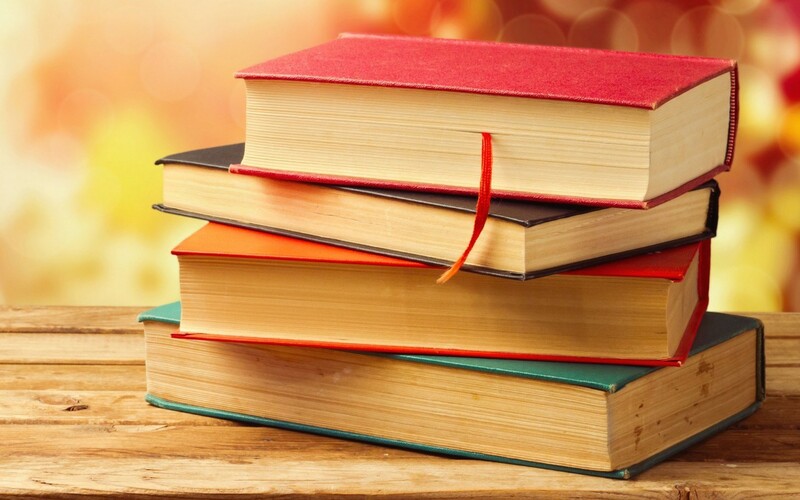 This money goes directly into keeping our library stocked with a variety of fantastic books that encourages a love and appreciation of reading among all of our students. We are grateful for the commitment to literacy shown by our teachers, administration, and parents to keep our kids #readingattheRon! 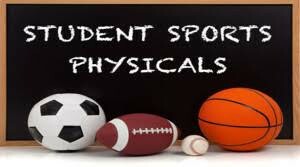 Every athlete must have a physical before the start of the school year. To download and print the REQUIRED OSSAA form, visit www.edmondschools.net under Athletics Tab. You must also create an account with RankOne Sports. Got to www.rankonesports.com click "for parents", followed by "fill out electronic forms", click the drop-down and select "OK" for Oklahoma, choose "Edmond Public Schools" and then "register now." If you have any questions, please contact Assistant Principal and Athletic Director Carrie Higdon at 340-2935. 8TH GRADE INFORMATION AND DATES! 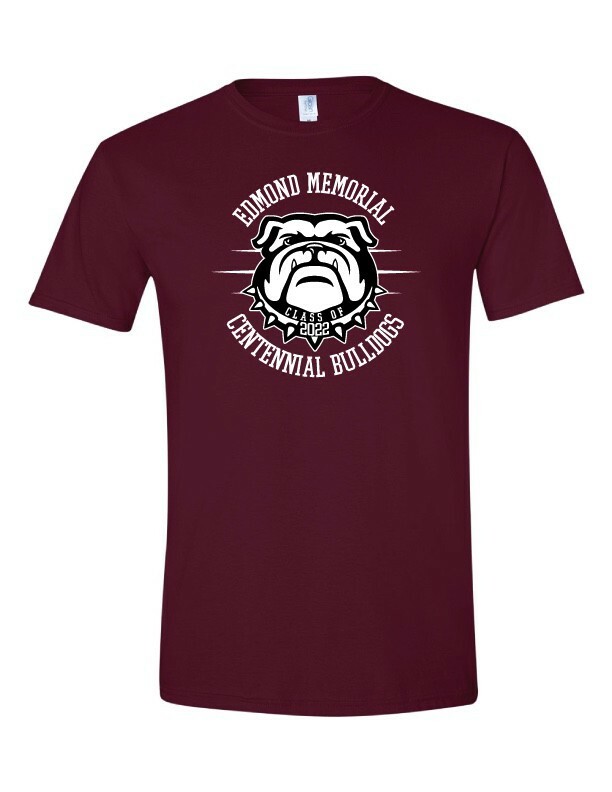 Order your 8th-Grade Centennial t-shirt celebrating the 100th Bulldog graduating class! $18 Exact Cash/Check Payable to CPTO. 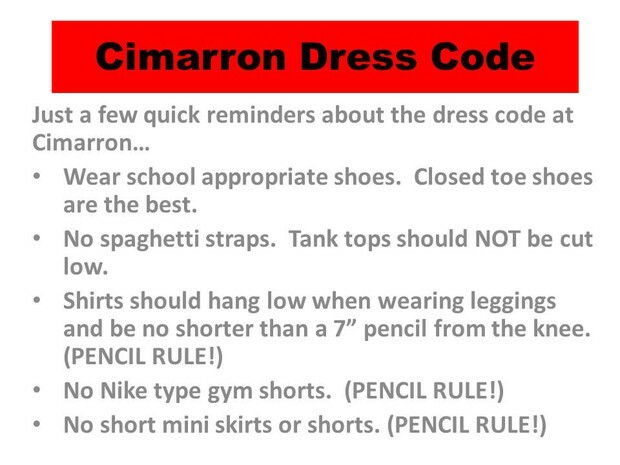 Visit the Cimarron Website at www.cimarron.edmondschools.net for the order form and more details. 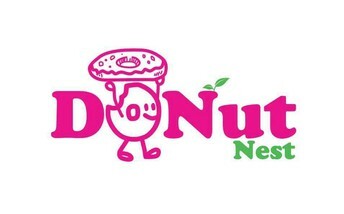 Orders due May 10th for delivery the last week of school. Thursday, May 24 - Yearbook Signing and Locker Cleanout! 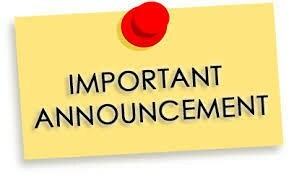 Friday, May 25 - Last Day of School and 8th Grade Graduation, 10:30 am First Baptist Church - Students will be released for the day following graduation. Must have a parent/guardian signature. All pre-enrollment forms MUST be turned into the school. If your student has not turned in their enrollment, please contact the school office. Beginning in July, ALL parents will be required to complete the Annual Update for their students via the Parent Portal. One parent in each household must have a Parent Portal account. If you do not have a Parent Portal account set up, please come by the Cimarron office for assistance. The Oklahoma State Department of Health requires all students entering the 7th grade receive the Tdap booster shot. If your child has already received the Tdap, please send a copy of the updated shot record to the Cimarron office. All changes or updates to your child's information must be made BY YOU in Parent Portal. (e-mail, phone numbers, adding additional contacts, etc.) 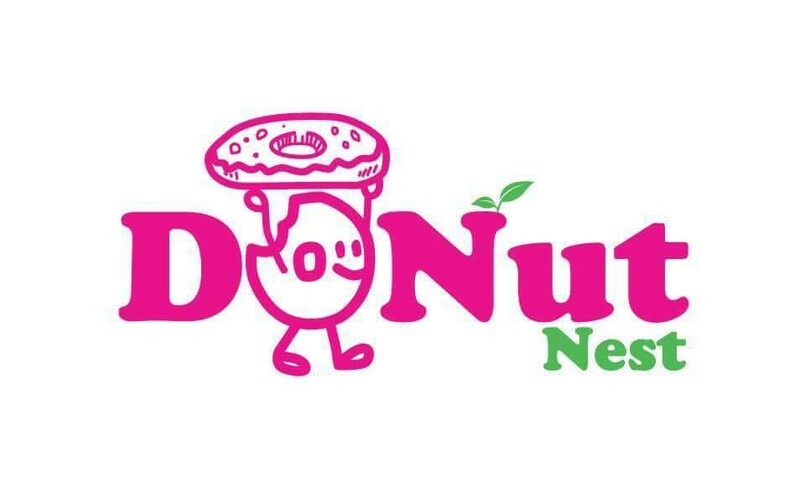 The only exception is an address change. Parents MUST provide the required two proofs of residence to the registrar before it can be changed in the Infinite Campus system. And a special thank you again to ALL the other many VOLUNTEERS who served in various capacities throughout the year through the PTO committees. Cimarron is truly blessed with the best community of servant's hearts! 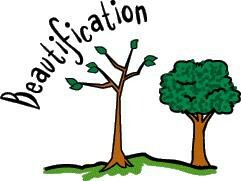 Our last CPTO meeting is Tuesday, May 8th at 8:45 am in the media center. We’d love to have you join us as we tie up loose ends for this year and start to look ahead to next! And of course, you won’t want to miss the opportunity to win a door prize and enjoy a snack! Thank you to our wonderful business partners who helped contribute to our fun fundraiser week! 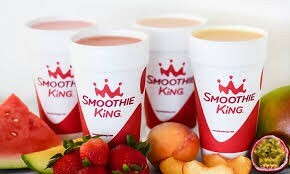 Thank you, students and families, who purchased smoothies and donuts! We have raised over $300 on the first day to put toward sweet treats for the teacher's lounge! 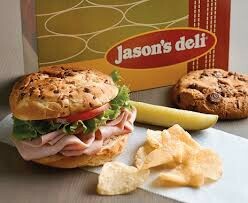 Eat at Jason's Deli, 78 E. 33 Street on May 15th and support Cimarron Middle School! For more information, please contact Jennifer Fett at 471-1319. It's a great way to get involved, support your student, and help your Panthers! There is still time to help donate Lowe’s gift cards for Cimarron Beautification Day on May 5th supported by Edmond’s First Baptist Church! Thank you to EFBC for providing a labor of love on May 5th to our landscaping at Cimarron and also to Lowes and Home Depot for their contributions. In the event of a school emergency/situation, Mr. Ehrich will communicate quickly to parents through the SchoolWay app. If you have a smartphone, please download this app: www.myschoolway.com, select Cimarron and set up your device for push notifications. Panther Pals are parent volunteers helping on a weekly basis in the workroom. Contact the CPTO to sign up! Panther Grill is a monthly luncheon for students who are nominated by their teachers for displaying a recognizable positive character trait. The Golden Paw/AOK Award Assembly is a monthly grade level assembly to recognize and commend students for exceptional qualities. Please continue to collect Box Tops. They all add up to benefit Cimarron Panthers! 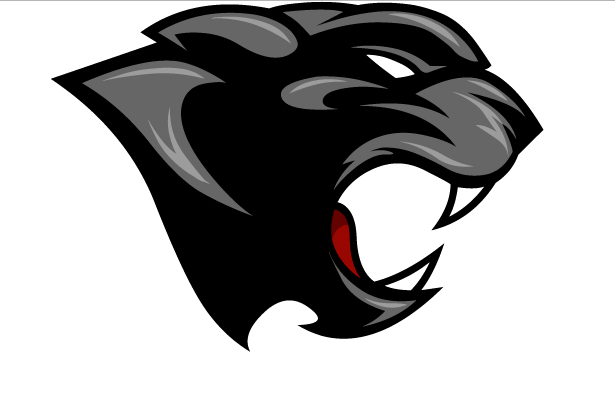 This Panther Prowl newsletter is produced monthly by Cimarron Middle School. If you have submissions, photos or suggestions, please contact Mr. Ehrich’s secretary, Robbi Kinnaird at robbi.kinnaird@edmondschools.net. We would love to hear from you. Office Hours - 7:15 AM - 3:15 PM.